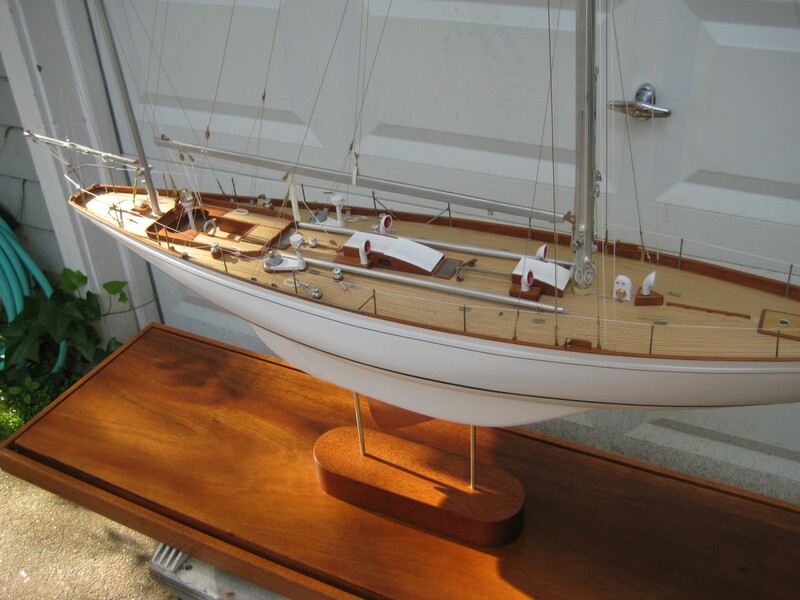 Long time Hyde Street Pier Model Shipwrights member and president Paul Reck shares a slideshow of a model he built in 2010 of the 60′ yawl-rigged yacht Good News. The original boat was designed by Sparkman and Stephens. The plank-on-bulkhead model was scratch built at a scale of 1/2″=1′ using white pine with sugar pine hull planking and deck planked with Alaskan yellow cedar. Good News Slide Show Note that it’s not necessary to have or to create a Dropbox account. Just close the window that asks you to sign-in. This entry was posted in Club Members, Club News, Paul Reck and tagged Paul Reck, Sailboat Model, St. Francis Yacht Club, Yacht Model by catopower. Bookmark the permalink. Check out the slide show by Paul Reck of one of the many models he built for the St. Francis Yacht Club. Beautiful workmanship!